Make sure you get your Omega 3! Something I’ve noticed this year is how my hair has been thinning out a bit. I had thick hair to begin with, so other people probably didn’t notice, but I did. It was keeping me up at night, wondering if my hair was falling out for whatever reason, what’s to say that it wouldn’t stop? You see, my hair is “my thing” so, I had to do something about it! I researched online for home remedies and one thing kept popping up-get plenty of Omega 3. Omega 3 supplements promote weight loss and supports everything from cardiovascular health to joint, vision and skin health. So, I got on the band wagon and started eating foods rich in Omega 3, but I found that I couldn’t keep up with always making sure I had enough. I decided to add a supplement to my diet to make it easier and to make sure I am getting enough Omega 3 in my diet. 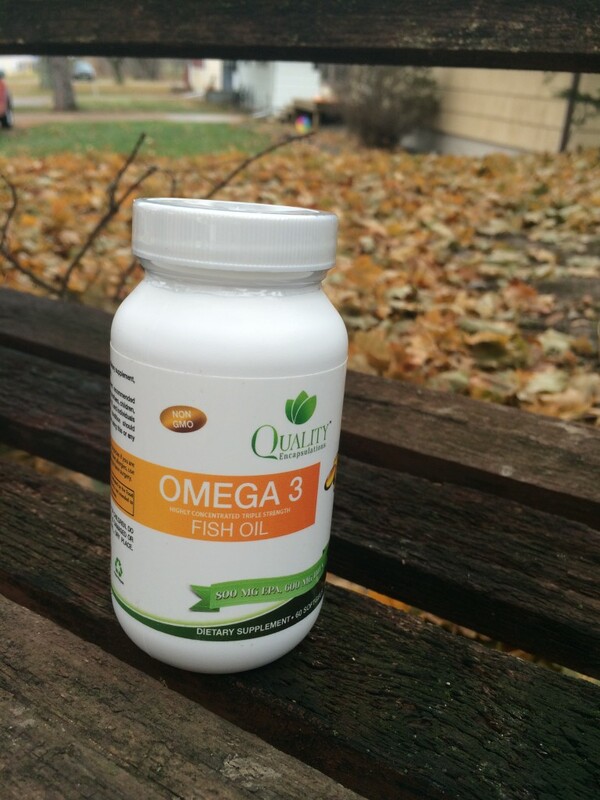 I tried the Omega 3 Fish Oil from Quality Encapsulations. These soft gels contain triple strength 1,500 mg Omega 3 fatty acids fish oil. The soft gels feature a proprietary antioxidant blend that is pharmaceutical grade and provide 600 mg of all-important DHA and 800 Mg of EPA per serving. I have been taking two a day along with Biotin, so I hope to see an improvement in my hair loss. I don’t notice any fishy taste, which I was worried about. I know that’s a concern for people wanting to start a supplement. So, wish me luck that my locks grow back so I don’t have to start investing in hair extensions!